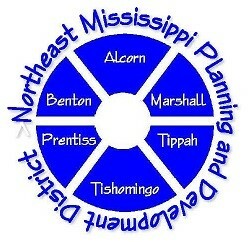 Northeast Mississippi Planning and Development District – The Northeast Mississippi Planning and Development District (NEMPDD), is located in Booneville, MS and serves the counties of Alcorn, Benton, Marshall, Prentiss, Tippah, and Tishomingo as well as twenty-five municipalities. NEMPDD accomplishes its mission by providing needed technical assistance and information enabling the region’s public and private sectors to reach their growth potential. Welcome to the Northeast Mississippi Planning and Development District Website. Thank you for visiting! The Northeast Mississippi Planning and Development District (NEMPDD), is located in Booneville, MS and serves the counties of Alcorn, Benton, Marshall, Prentiss, Tippah, and Tishomingo as well as twenty-five municipalities. The district is a non-profit corporation governed by a board of directors consisting of twenty-four members. Since its organization in 1970, the primary goal of NEMPDD has continued to be the promotion of economic, community, and human resources in this geographic region. Originally created to help local governments obtain access to federal funds for project development in the early 1970’s, the district has continued to change and evolve as the needs of its service area changes. NEMPDD serves as liaison between local government and the various state, regional, and federal agencies involved in the areas of economic, community, and human development. NEMPDD provides a wide range of services including comprehensive planning and technical assistance, preparation of grant applications, and project and program administration. Also available to businesses and industries are loan programs to promote business development, Human services programs such as those offered through the Area Agency on Aging seek to target services and resources to those individuals whose identified needs meet the state eligibility criteria. 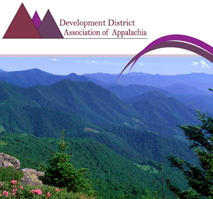 Fundamental to the leadership role of the NEMPDD in its six-county service area is the computer services division which offers technical assistance and software support to member counties. Northeast Mississippi Planning & Development District is located in the Booneville Industrial Park at 619 East Parker Drive.